OUTLAST 2 Walkthrough! Walkthrough and Let’s Play Playthrough of OUTLAST 2 with Live Gameplay and Commentary in 1080p high definition at 60 fps. 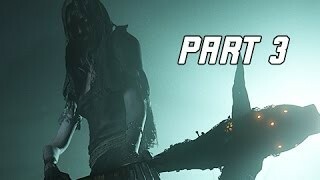 This OUTLAST 2 walkthrough will be completed showcasing every level, mission, boss, and story ending. Outlast 2 is a first-person survival horror game that, like its predecessors Outlast and Outlast: Whistleblower, is a single-player campaign. It is set in the Sonoran desert. The game is also carrying over the found footage characteristics from the first game. The player controls the investigative journalist Blake Langermann, who investigates a dilapidated rural area in Supai, near the Sonoran Desert. Langermann is completely unable to fight and can only defend in scripted scenes similar to the original Outlast, and can hide in lockers, crouch, run, jump, walk, vault and climb much like the first game. He only possesses a camcorder, which has night vision enabled, though the camcorder’s batteries are also drained when night vision is used. Unlike the first game, Langermann’s status as a cameraman means he has a much more advanced camera in his possession, one with clearer footage, zoom, and an audio detection system built into each speaker that can be used to detect distant footsteps and other noises. Spare batteries suitable for the camcorder are spread throughout the locations. Langermann also wears glasses, which limits the player’s vision if they fall off.